Standard lift capacities up to 6,000 lbs. High-load mechanical straddle up to 12,000 lbs. Design: carriage between the guide beams applying the load forces in the vertical direction along the length of the guide beams. 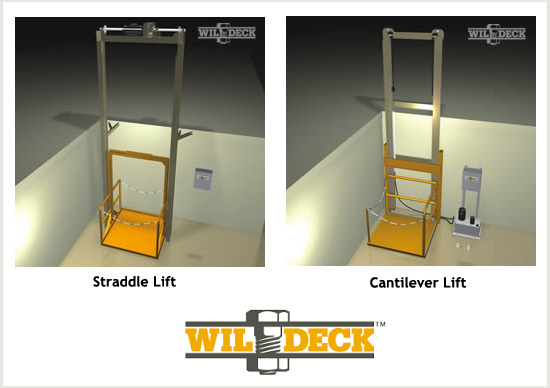 Standard lift capacities up to 5,000 lbs. High-load capacities up to 10,000 lbs. Design: carriage rides along masts that are located on the same side of the carriage. Standard lift capacities up to 15,000 lbs. High-load capacities up to 30,000 lbs.